Half poetry, half collection of novellas, half sketchbook – Kim Hiorthøy’s debut book is one of the most unique works to come out of Scandinavia in recent years. Win a copy through our new monthly book club. Norwegian multi-talent Kim Hiorthøy was born in Trondheim in 1973 and has worked as an illustrator, graphic designer, musician and cinematographer. You can’t betray your best friend and learn to sing at the same time is his debut novel, a book of very short stories that manages the almost impossible balancing act of weighing up the comedic against the poignant, tying both together with knots of absurdity. Released in English by Nordisk Books in December 2016, the book was originally published by Oktober in 2002 and recently re-issued, to critical acclaim. Founded in 2016, Nordisk Books brings high quality, thought provoking and entertaining Scandinavian literature to the UK. 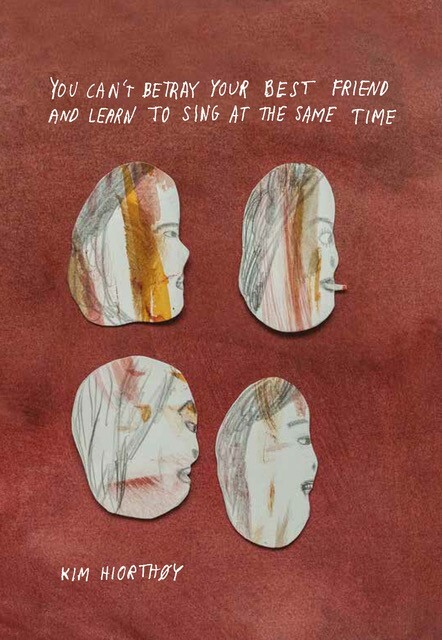 You can’t betray your best friend and learn to sing at the same time is their second title, introducing the words and drawings of author, illustrator and musician extraordinaire Kim Hiorthøy to the British audience for the first time, in a beautiful hardback edition with a new cover design by the author himself. Follow this link to enter our competition with the chance to win a copy.